We here at Beede were like, “Oh, yeah, we know this song,” and burst into a group sing of “to grandmother’s house we go.” Which sounded awful because none of us can sing and we had the lyrics all wrong, anyway. “Did you know the lyrics are “to Grand father’s house we go?” Neither did we. Nor did we know what came after the second line so we’d sing “da da da da da da da,” which sounded clumsy and painfully out-of-tune. After little discussion, we unanimously decided against taking our show on the road. We’ll just stay here and do what we do best: Provide excellent service to you, our members. Monday Nov. 12 – Veterans Day observed - open 5:30am-9:00pm. Thursday, Nov. 22 - THANKSGIVING DAY! - OPEN from 7:00am-11:00am. Friday, Nov. 23 - Black Friday – We are open 7:00am- 6:00pm. *no programs/practices. A Personal Training Day! Monday, Nov. 26 –CCHS Swim and Dive teams season begins. The first home meet is Tuesday, Dec. 11 at 3:30pm. Please see the master pool schedule for other high school meets that happen Tuesday at 4:00pm or Friday at 7:00pm. Come down and cheer on the swimmers who have historically ranked in state and national competitions and go on to victorious NCAA careers. Guests are one of the many treasures of the holiday season, especially those who travel long distances to be with us. We know that many of your guests enjoy a good workout. Often times, their preferred workout time conflicts with yours. So, may we suggest purchasing the 10-Visit Pass? The pass allows anyone you choose to use the Beede Center whether you’re planning to be here or not. The 10-visit pass is also an ideal stocking stuffer, and makes a nice gift card for family members, significant others, friends, the person who cuts your grass, your kids home from college, etc. Each pass is good for one full year from date of purchase, costs $100, is rechargeable and works like a debit card. They are transferable and may also be used to cover the $10 guest fee. On the subject of great gift ideas, may we recommend hiring one of our personal trainers? You can buy a card good for 5 hours of personal training, which can be used as half-hour or hour-long sessions (see details below). A great way to give the gift of good health! “A workout makes you better today than you were yesterday. It strengthens the body, relaxes the mind, and toughens the spirit. Is life not tense enough for you? If you are in this predicament, consider stopping by the Beede Center every Saturday morning for a high-intensity group workout. The program, headed by Personal Trainer John Donaldson, combines functional movements with weights. Workouts last last about 45 minutes. The MO on these workouts, says John, is they look easy on paper. The HIWO meets every Saturday at 8:30 a.m., on the patio, rain or shine until the first nor’easter. There is no charge for members. “It’s a fun time, people love it,” John promises. The people who have been showing up week after week clearly agree. p.s. Thank you to Charter member Bill Ryan for sharing his inspiring collection of George Allen quotes. Bill is one of our predawn workout enthusiasts and is a huge help with this newsletter. 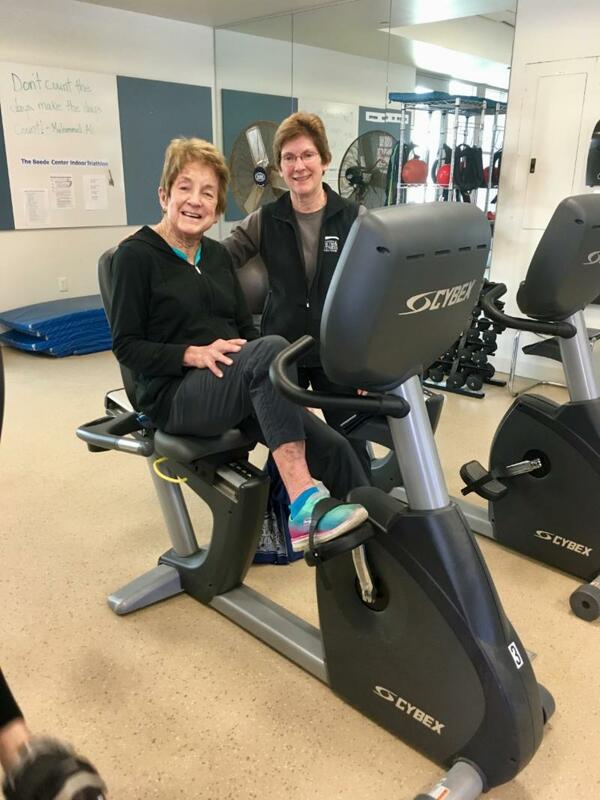 Personal Trainer Anne Windhol works one-on-one with Charter member Judy Neilson. 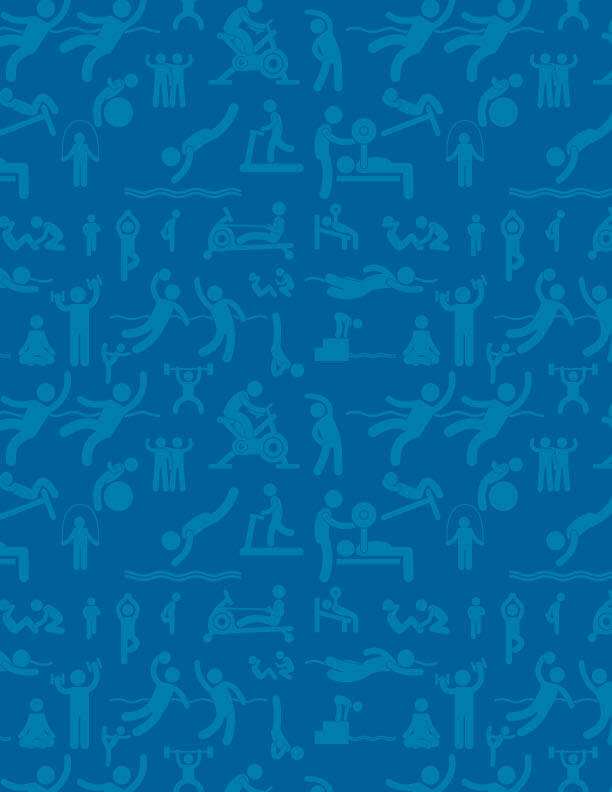 Perhaps group workouts aren’t for you. Or, perhaps you’re training for a marathon, triathlon or Spartan Race. Maybe you have bigger goals, such as rocking that Drop-Dead Gorgeous wedding dress of your dreams. Whatever your fitness aspirations, we have a staff of trainers to help you achieve them. Our personal trainers are all certified in their fields and passionate about helping you, regardless of your current baseline. Our Personal Trainers work with clients whose physical abilities range from those conditioning for the New York Marathon to those who have never stretched anything beyond their imaginations. Our trainers regularly work with clients recovering from injury, surgery and illness. They also assist clients who work with Physical Therapists. Personal training time is also a wonderful gift idea. Time is sold in one-hour intervals. The cost is $60 for members of the Beede Center and $80 for non-members. Trainers are amenable to working in half hour intervals. There is a discount when purchasing five hours at once. Members $275, non-members $370. We are proud that the Beede Center is a very safe and family-friendly place. Every now and then, however,we have had occasional reports of members returning to locker rooms to discover a beloved item gone missing. These items will often show up in the Lost & Found, located near the men’s locker room. Sometimes, a fellow member will mistake another’s down parka for theirs and wear it home. It is always returned. Trust us, this happens. However, some items may not be easily recovered because they were not removed by mistake. We urge you to leave your valuables at home. Otherwise lock them in a locker. 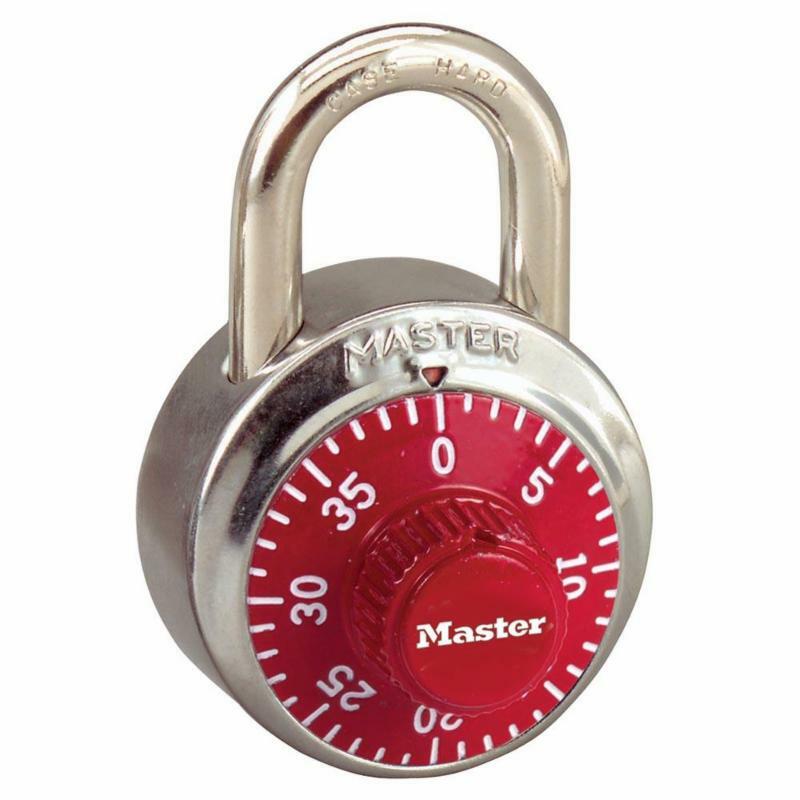 A master lock costs less than $7 and is an effective insurance policy for wallets, jewelry, salon shampoos, expensive makeup, cellphones, clothing, etc. You may rent a quad locker for one year for $100. Ask at the front desk. If you cannot find your item in the Lost and Found, report it to the front desk. Per the recommendation of the Concord Police Department our staff CANNOT go through the Lost and Found or the locker rooms for you. You will have to look yourself or send a representative. This is frustrating for you. We realize this and apologize for the inconvenience. We may only take a report of what is missing. A manager will match the report only to items returned to the front desk, not the Lost & Found pile on the lower level. We clear out the Lost & Found pile on the Lower Level frequently because many of the items are wet. It behooves you to return ASAP if you discover you left something behind. Members and guests of the Beede Center may not hold the Beede Center nor the Town of Concord responsible for lost, damaged or stolen personal items. 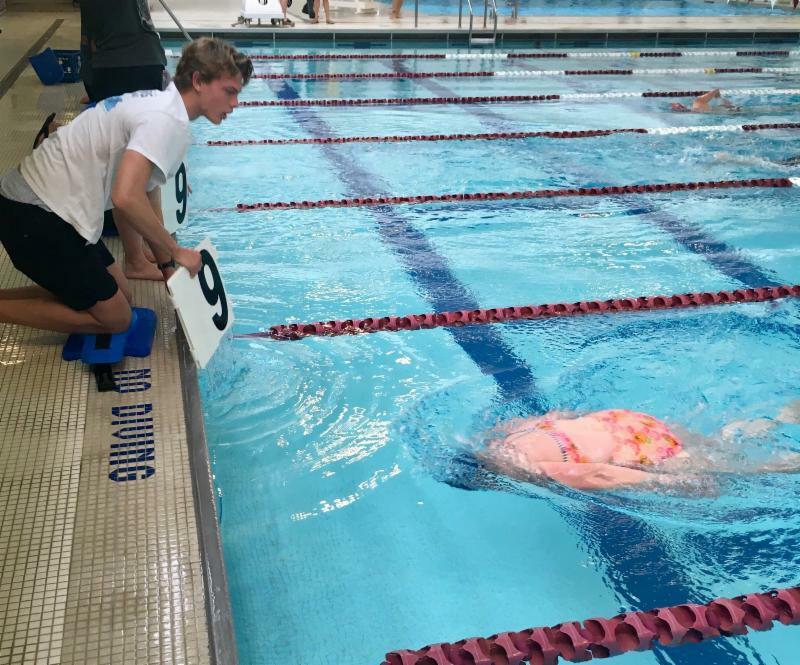 A CCHS student volunteer lets a swimmer know which length she’s completed. 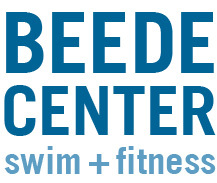 The Beede Center appreciates your cooperation in supporting the 12th annual Master Swim Meet fundraiser to benefit the CCHS Swim and Dive teams. It was held Sunday, Oct. 28. More than 100 swimmers - a 20 percent increase over last year - took to the blocks and competed. Even more, from middle schoolers to octogenarians, came to support the racers and assist with timing, set up to create this successful and fun event. It was a pleasure to see Beede Center members, area residents, students from the CCHS Swim and Dive teams, their coaching staff, Master swimmers and alumni having fun while supporting such a worthy cause. The closing ceremony, where new competitors and those over the age of 50 were awarded a long-stem rose, was particularly moving. CCHS students arrived Saturday night to convert the lane markers and flags so races could be measured in meters instead of yards. They helped with timing, alerting competitors of how many laps they’ve swum and other logistics and they were especially enthusiastic cheering on racers. 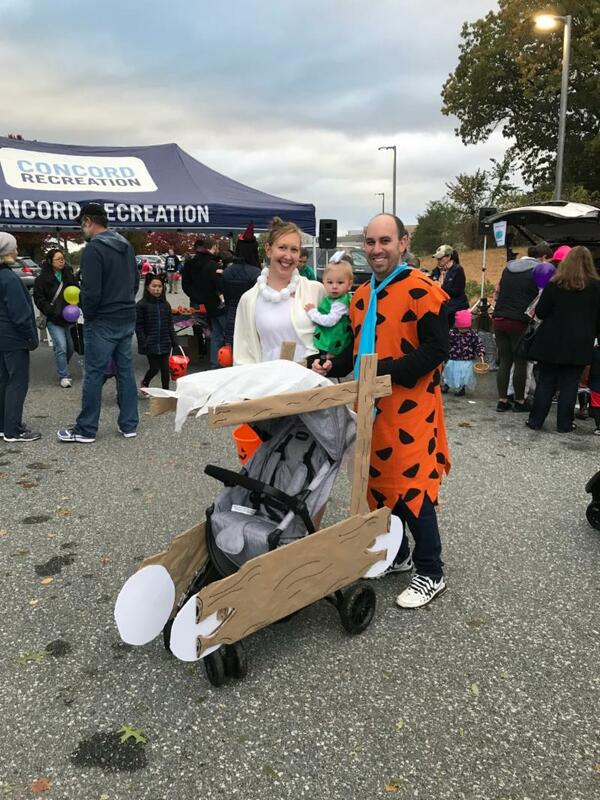 Our annual Trunk or Treat was another success as Wilma, Fred and Pebbles Flintstone can contest. Thank you to the over 300 people that joined this annual event held at Beede. In closing, we wish to express our gratitude to you, our members, who make it such a pleasure for us to come to work at the Beede Center. Wishing you all a wonderful Thanksgiving and bountiful November. We’ll close with a stanza from Ralph Waldo Emerson’s Prayer of Thanks.